The mathematics and science of Arizona’s “retrograde extrapolation” law can make all the difference in your Phoenix, AZ DUI case when a blood sample is taken hours after the traffic stop. The term is uncommon to many motorists. Broken down, it describes a mathematical formula that allegedly can determine what the blood alcohol concentration (BAC) was at the actual time (or within 2 hours) of driving even hours later when blood is drawn under a warrant issued by a judge. Retrograde is the time; extrapolation is the BAC result of the blood sample. Traveling back in time under the controversial Widmark formula devised in 1932 by a Swedish researcher affords prosecutors the leeway to earn a conviction but also allows criminal DUI defense attorneys significant challenges to the veracity of the result based upon several factors. By Arizona law, the state must legally obtain a blood sample within two hours to achieve an accurate BAC level. But in the early morning hours delays can happen beyond that optimum timeframe. If that occurs the state can prosecute you under retrograde extrapolation, which uses a good amount of guesswork. Prosecutors add the BAC result at the time of testing to the hourly rate of alcohol elimination from the bloodstream. The mathematical aspect considers how many ounces of alcohol was consumed (O for ounces) the weight of the person (W) and the gender constant (R), which is .73 for men and .66 for women, and how many hours (H) passed since drinking began. This formula estimates the BAC level at the traffic stop, or for Arizona purposes, witin 2 hours of driving. The science involved is that when a person starts drinking it takes about a half an hour or a little longer before the alcohol is absorbed into the blood stream. After drinking ends, the alcohol concentration continues to increase until it reaches its maximum concentration, called the peak. After the peak is obtained the alcohol concentration begins to lessen. That’s because the body absorbs alcohol slowly but eliminates it quickly producing a higher BAC. The absorption and elimination of alcohol happens at different rates depending upon the individual’s metabolism, gender, height, weight, and the type of drink involved, such as wine, beer, and liquor, each drink containing a different amount of alcohol. Also to be considered is the person’s tolerance to alcohol. People who have been drinking for years have developed a tolerance level that social drinkers won’t have. Other considerations are if the person had anything to eat before or during ingesting alcohol and the amount and type of food, and body temperature. Phoenix, AZ Police are not known for asking a DUI suspect what they had to eat and how long ago so that information is lost. The math involved is founded in averages and a person’s metabolism is not factored into the result. The averages, which work well in baseball statistics, don’t generally fit because alcohol is processed at different rates depending upon the individual. To conduct a retrograde extrapolation, the suspect needs to be in the elimination stage and the retrograde would be higher in this stage, so the results can be suspect or unreliable. Even if you’re in a hangover stage it could still register as illegal BAC. At trial, with the seeming magic of calculating the present to determine the past requires experts for both sides to testify. Arizona in 2012 began using federal law’s “Daubert Standard” for challenging scientific evidence. Instead of an expert merely stating an opinion for the jury’s consideration, Daubert requires a judge to vet an expert’s opinion based on scientific methodology to be admissible in court. The vetting takes place well before the expert is allowed to testify in front of a jury. Criminal Defense attorneys in Phoenix, AZ can raise an objection to the expert’s testimony at this pretrial stage. Your best defense is a good offense, and that begins at the traffic stop. Anything you say to the officer will be used against you. And while it may seem obstinate to decline answering the officer’s questions and you feel uneasy about it, following these steps is crucial to your defense. The officer will ask if you’ve been drinking. Sometimes the officer might ask what you’ve had to eat and when. Say, “I respectfully decline to answer under my Fifth Amendment right to remain silent” and tell the officer you want to speak to an attorney, which will end the officer’s questioning. Retrograde extrapolation has pitfalls that a knowledgeable, experienced and aggressive Phoenix, AZ DUI criminal defense attorney can use to create a reasonable doubt in the minds of jurors and that means an acquittal is possible. Odds are you don’t know such an attorney but you can visit these websites to research lawyers, including myself, Aaron Black, at: SuperLawyers.com, NOLO.com, and AVVO.com. Look for an attorney with whom you can develop a working relationship, and it’s important that you trust this individual and that the attorney is available to you during the time leading to trial. You can get started on your defense by taking advantage of my free case assessment to evaluate the strength of the state’s case and your possible defenses. It’s best to start your defense promptly. 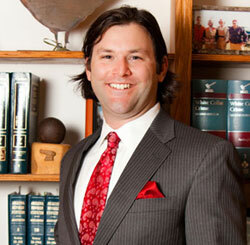 Contact Phoenix DUI Attorney Aaron Black or call 480-729-1683 to schedule your free consultation.